This simple and humble porridge is enjoyed at breakfast or tea time in the evening. A family favourite!!! 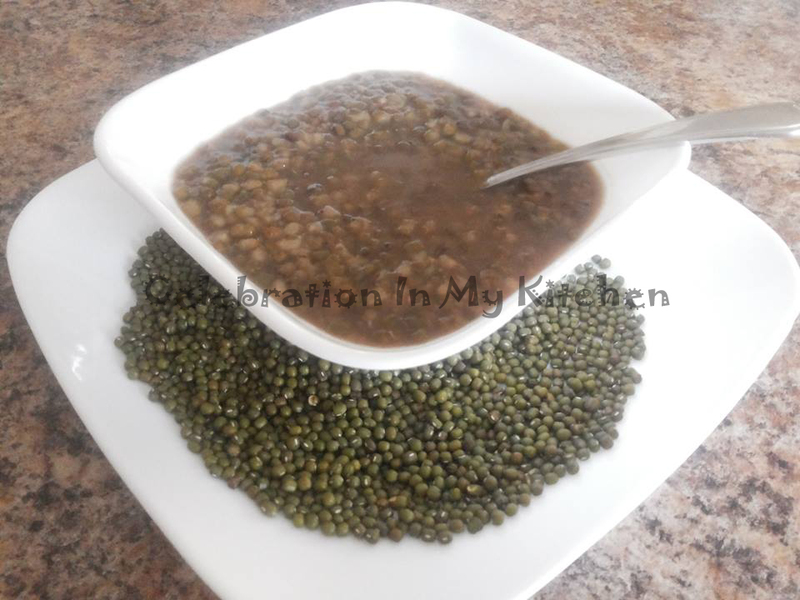 Mung beans are a good source of protein, helps to lower cholesterol, prevents constipation and keeps you feeling full. They are low on the glycemic index and have anti-aging properties. Sort through moong bean for any stones, wash and soak in water for an hour. Drain out water and pressure cook with 5 cups water, sugar and salt, around 8 to 10 whistles. The beans have to be soft and mushy. Cool cooker, open, stir, serve and enjoy.